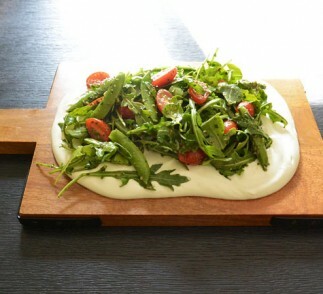 Lightly dressed greens lay on a bed of fluffy ricotta and Greek yogurt. A healthy, tasty appetizer, or a wonderful lunch. For the whipped ricotta-yogurt: Place the ricotta, yogurt, olive oil and salt in a food processor. Blend until light and smooth, about 30 seconds. Remove to a bowl and set aside. 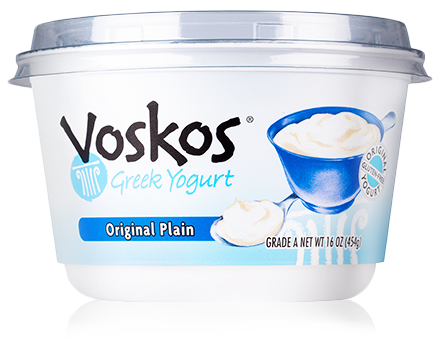 To assemble: Spread the whipped ricotta-yogurt on the bottom of a platter. Place the dressed salad on top of the ricotta, leaving some of it exposed around the edges. Serve immediately.